Aluminium TKL Case - TEK-80 - CAD Files inside! New link to CAD files since for some reason I got a tonne of requests lately. 1. It is way too tall at the front. You should change it to be 20mm at the most, otherwise it'll be very uncomfortable. 2. It is designed for the Phantom PCB. This PCB was made specifically to replace Filco PCBs, and as such it is NOT a good PCB for using in a fully custom keyboard. 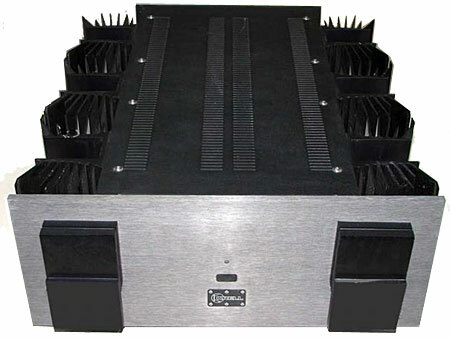 You should adapt this case to work with a B87, GON, or similar PCB. I wanted to buy an aluminium case for my Filco, but I've heard bad things about the Vortex one and the MKC is too rare and expensive. So.. I decided to start designing one myself. I've never designed any product before and I haven't got any experience with CAD but since it's a very intuitive program I picked it up fairly quickly. I have been aware of the Phantom for a long time now so I decided I would replicate the Filco's mounting system as best as I could in order to make this case compatible with the Phantom. I am also aware that many users want to use 7bit and winkeyless layouts but there are few cases available so they are unable to do so. I have also seen various projects very similar to this, but they have never gone anywhere - there have been no prototypes, and the projects seem to have disappeared. I WILL be manufacturing this case IF the design is finished even if there is no interest from you guys. I was originally going to make this case just for myself, but I think I'll use this thread to gauge interest from you guys and maybe consider selling it if there is enough people interested. At the moment the design is only in the very early stages. I have all the required measurements of the stand offs, screws etc but I haven't added them to the model at this point, and tweaks need to be made to the measurements of the top half of the case. The actual design isn't final either. I'm unsure whether to keep it as a simple 'wedge' shape like the Filco, or whether to make it a bit more fancy like cases such as the LZ-GH. I would really love to hear feedback from you guys, and I'd like to know what kinds of features you'd like to see. I am going to find a way to make this compatible with detachable cables. I'll try my best to make simple housing that can accommodate a female mini-usb, but will double as a cable hole. That way it'll be up to the user whether or not to use a detachable cable. At the moment the board will be seated at a 6 degree angle, and I'd like to keep it that way. However, I'm open to feet if people are interested. I want to make it clear that, since it's only in the early design stages, this case is not a sure thing. I'll be busy with exams until summer so this being done in my spare time. However, when and if the design is completed a prototype WILL be made. This is a good start, pretty impressive considering that you just picked up CAD on the spot. - What is your target price range? Obviously it'd be cool to own a fancy pants case for your Phantom, but if your design costs $200 will you still go through with it? Keep in mind that you will have to dish out some $$$ just for the prototype alone. The final production cost will likely be heavily influenced by the design of your bottom case. Having a slant like that requires more material to be chopped off, which may not be as cost efficient. - Plate design. Is your case being designed to fit the existing SS plates that GB's have been using? Or are they using a dedicated plate that will only fit your case (similar to Korean custom keyboards). - Color. This will have to do with costs too. What did you have in mind for that? I am assuming you are planning to mill aluminum which will require anodizing which you'll probably need a different shop for. I think that's all I can think of at the top of my head. Also, I don't think the other case design projects are actually stopping. Other stuff might come up so the development slows down, but I'm sure when the project leaders have the time they will work on them. I wish you good luck in your project. -I'm making the mounting exactly the same as the filco's - 4 standoffs (2 screws) and slight extensions on either side of the case to support the plate. 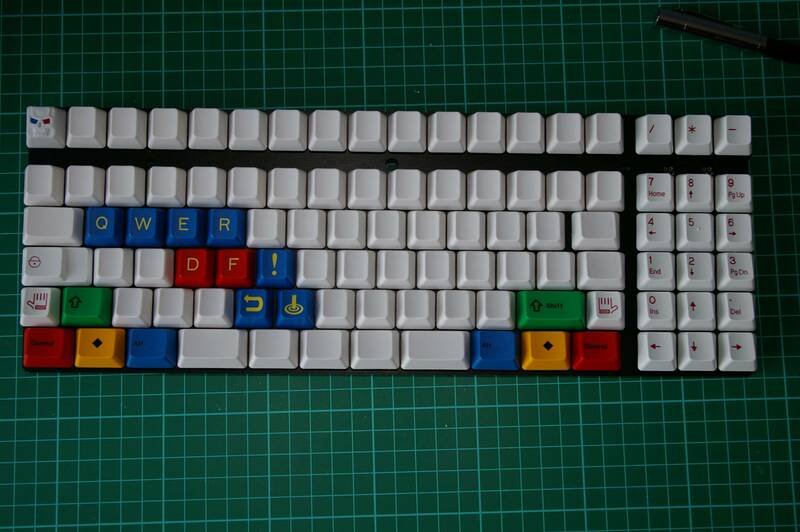 I'm doing this so that it should work with the stock filco plate, the universal TKL plate and the phantom plates. I have taken the screw hole positions from the phantom plate CAD files that are available somewhere on deskthority, and I've double checked them myself - they are spot on. The other two standoffs were harder to measure but I have them very close. It's the 2 standoffs with screws that need to be in the exact right place, whereas the other two only make contact with the plate so I have a little leeway. -I'm trying to make this as cheap as possible. The cutting of the aluminium should be fairly cheap. I have already spoken to a local cutter. I am a little worried about anodisation costs, but I will do my best to find a solution. Also, the prototype will most likely be the case that I end up using myself, so it'll basically pay for itself. -I think I mentioned plates earlier. -I want to be able to offer whatever colour people want. I myself want a black/grey or gunmetal grey, but I want to be able to offer anodisation in a large amount of colours. I am also looking into other finishes such as powder coating, but I think anodising is the preferred option. If this gets to production the people who are cutting the aluminium should be able to help me with sourcing a place to get anodisation done - at the moment I am concentrating fully on the design. Looks like you got it under control with good references, should be fine there. Sounds good, from the way you're talking about it, Phantom owners will be responsible for their own plate right? Yes, you will have to shop around before deciding on where to get it done. Not a huge priority right now but it will take some research. I believe it has been confirmed in other threads that a QFR will fit in a Filco TKL case - and that is what I would be interested in. I would imagine other QFR owners would be interested also - the price of entry into a custom mechanical being so low with that model. You're right. It will probably need to be milled and that angle adds material and machining time. Both will increase the cost. Sorry about that. When I said cutting I meant milling. I'm new to all this aluminium stuff.. The costs, according to the words I've exchanged with the local miller, shouldn't be too high. I'll know more at a later date though. Everyone will be responsible for their own plate, whether it be filco or phantom. @mushupork - The finish of the product really isn't what I'm concentrating on at the minute, but I do love the look of high end audio equipment . As I said to Acetrak I will know more about this at a later date. Also, where have you heard the QFR fits in a Filco case? I knew they were similar, but I always thought the mounting was different. If you link me to a source I will try and incorporate the fitting of a QFR into my design. Please have a look ... with the analysis you've done you might read it differently ... http://geekhack.org/index.php?topic=37432.msg714145#msg714145 I thought I read in post 10 of the linked thread that the cases were the "same" except the detachable cable vs. fixed cable ... maybe I read too quickly? Completely understood on being too early for finishes. You asked if anyone had other case ideas or feature suggestions, and while finishes are not features, I thought it might be inspiring to someone. QFR requires repositioning of 2 standoffs, the one under F8 on a Filco is moved to get out of way of the USB connector board. The one near caps lock is also moved a little. Then of course you have to deal with the USB connector board somehow. I'll look into it, and thanks for the link. However, it's pretty hard to tell without having the QFR in front of me. If this is true then support for the QFR will be out of the question in the time being. Currently adding the standoffs to the model. I'll post an update soon. I've added the standoffs and side supports. Standoffs line up perfectly (dead on centre with the screw holes) with the plate CAD file that I got from the deskthority phantom thread. The only thing left to do is add the usb housing. While I'm on that subject.. Is there any reason why all the keyboards with a removable cable choose to use mini-usb? I would've thought that USB would be less likely to be pulled out. When I've added the housing for the USB it will complete.. as far as I'm concerned. However, I understand that there might be some features you guys would like to see. That's why I made this thread. I need to know what you guys would like to see in this case. I think micro USB would be better. It's just better that mini. And USB is a harder cable to come by these days. Must be mini USB lobbyists fighting hard to keep their connection afloat. Except make it a square big enough so you can put in just about any size rubber feet bumpons that are available. Like 1"x 1" may be? Also would it cost more if you had something etched into it? Anything additional that takes up someone's time in a shop will cost you. It's up to the OP whether or not he wants to absorb that cost. Yeah, I'll be adding spaces for feet, and it's interesting that you mention etching.. I want to make this case personalisable as possible. I want to be able to offer certain customisation options such as having the phantom logo milled into the case, or maybe even a logo or text of your choice. Of course the person would have to pay more for this kind of thing as it would also cost me more to produce, and it may not even be viable at all. I'll find out more about things like that once the design is done. What I want to focus on now is the case itself and non-optional features such as the detachable cable housing. I will work out the fine details at a later date. Thanks for the feedback though. How come micro is better than USB? I would probably be more likely to use a mini since every keyboard I've seen with a detachable cable has a mini usb port. Because of this I reckon more people will have custom mini-usb cables, and I don't want to stop them from being able to use it. I didn't say it was better than USB, just that it was better than mini USB. Although I do think it is better than USB because it is a smaller and cleaner connection. But it's better than mini because it's smaller, sturdier, and has a higher disconnect capability than mini. Regular size USB doesn't work since it's so damned big, not easy to stick in a keyboard where you have minimal bezel size. mini USB can be painful because you are supposed to engineer the housing to supply the vast majority of physical support. micro USB provides some improvement to mini, but primarily by making it easier for the housing to provide the physical support. Thanks. I'll look into it further. From what you've said micro sounds great. Looks great so far! Highly interested in this. I really hope this becomes a sure thing. I had to make the back end be at a 96 degree angle instead of a 90 degree angle. Otherwise the PCB wouldn't have actually fit inside the case. Now it really does look like a replica of the Filco. I would add Standoffs at the center, just to keep the board well fixed. Now just add a beveled edge to the bottom, both front and back, and you have a nice profile there. At least the back, if you don't like the front bottom edge beveled. I can't do that. There are four holes in the PCB for the existing standoffs, however there are no holes for any other standoffs. I don't quite follow. Do you mean something like this? Sorry for the crappy drawing. Will follow for sure, I want to make my first keyboard special. Will purchase one for sure if it's around or lower than the cost of the Vortex case. This thread makes me giddy. I really do hope that I'll be able to sell it for a reasonable price. My primary aim is to keep the cost low and the quality high. I'm really interested in this, and would most likely buy at least 2 if the price is right. Although given all the previous attempts that never come to fruition, I have a hard time getting my hopes up. I would appreciate if there there be an option without holes for the LEDs. Also make sure to add as much mass a possible. It makes a rather large difference to the feel of the keyboard. Yes. I think that back edge looks really good. Sorry, newbie and dummie question: winkeyless is okay, but what this 7bit in the name means? You actually use that layout on a regular basis, dirge? I don't know how anyone can type with those small spacebars like that. I can type on the small spacebars, but it's awkward for me because there's a gap where I like to put my thumb. I'd like the keyboard to be attached via removable standoffs, so you can place ones for filco, qfr, etc. You just screw them into the case, and then screw the PCB onto them. I think this is a much more modular/personizable solution than having them be part of the case. Ofcourse, to do this, you'd probably need a different pattern for the bottom (I don't know how easy it would be to get standoffs in different/custom heights, so you might need some "bases" that they would rest on, or just mill the inside surface of the case at the angle. I'm not sure I'm explaining this right. I cancome up with a drawing tonight if necessary. What CAD are you using? I'm considering getting qcad free working, but I need a linux distro with KDE. Maybe I'll install it to a flashdrive. I really like the modular stand offs idea, but I think it'd make the costs quite a lot higher. I'll definitely keep this idea in mind because I think it's a good one, but I can't guarantee anything. Although, like I've said before I want to make this case as personalisable as possible. If this gets to production without modular standoffs but you want them just let me know. I'd be happy to add stuff like that for just one person, but they would have to pay any extra manufacturing costs. I'm using solidworks. It's a really nice program to use - very intuitive. Small update : I'm currently working on the detachable cable. At the moment it looks like it'll be nearly impossible to have a usb cutout that can double as a cable hole which means nobody will be able to use the stock cable. You'll have to cut it, and solder it to the usb connector on the case. Does anyone have a problem with this? Would anyone actually prefer the stock cable to a detachable one, or does anyone not want to have to mod the cable? Getting a nice detachable cable will be hard. The cases with best and nicest looking detachable cables are the korean customs, but the reason they're so nice is because they have a mini-usb mounted on the pcb. I can't do that, so the best I can do is attach a mini or micro usb port to the case itself. Even then, the buyer will have to cut his/her existing cable and attach it to the port on the case themselves. I think this is a really messy way of doing things, so I'm inclined to just leave a hole for a stock cable instead of spending a long time working out a far from perfect detachable solution. I did what jdcarpe suggested and I must say that I'm loving the bevelled edge. I'll make some renders soon. I don't know the details but if those small micro usb pcb is available, then soldering the cable shouldn't be too hard. Edit: Not a big fan of the bottom rear edge like that. Thanks for the link. I was looking at something similar about 10 minutes ago and it looks like it could work. Thanks for the input on the bottom edge aswell. Everything is up for discussion. I should elaborate on the rear angle. Because of the angle of the rear, the usb cable will be "shooting up" (black rectangle in pic) which I personally find a little annoying. If it were shaped like the red line it wouldn't be as bad. Also cutting less into the bottom makes the keyboard feel more grounded visually as well as add more weight. It might cause problems inside with the PCB and/or plate mount so may be it can't be 90 degrees like that but you get my point. I see what you mean with the reduction of cutting. I'm afraid a 90 degree back angle isn't something I can do. The pcb wouldn't fit, and if i made the case longer to fit the pcb it'd make it look stretched. Does that angle necessarily mean that it will angle upwards? Couldn't you design the case to have a groove in it? Either on the top or bottom portion of the case? Which angle are you referring to? The plate and pcb will be mounted at a 6 degree angle, and because of this so will the case. For reference the filco is around 5 degrees with the feet up and around 10 degrees with the feet down. Filco uses a steel plate with a bend at the edges to considerably stiffen the plate, the standoffs simply hold the plate up, they don't add any structural support. The case is too flimsy to do much. This was why Vortex went with the design they did and why Korean boards use plates with tabs that are screwed in along the top and bottom edge, it's all done to add stiffness and support to the plate. I would be concerned that mounting a flat plate and using a couple standoffs would result in flex or warping over long term use. Using standoffs to push the pcb which pushes the pate can work, but it can also stress the pcb. Note that the Filco pcb actually hangs and floats under the plate. As does almost every plate keyboard I have seen. That isn't to say it won't work, but considering it costs more to bend a plate than it does to add a few plastic standoffs, there is a reason they do it. Another issue I can see is going to be cost. Vortex gets away with the relatively deep bottom because they cast it roughly to shape, then mill it. You on the other hand will be paying for a very thick, heavy chunk of metal and spend a long time milling it out. This is why many designs use multiple plates milled out, or are much more shallow. This allows for less mill time, and the use of cheaper, thinner plates. I know what you mean, but I really can't see another mounting method that will support both the stock filco plate and the universal tkl/phantom plate. Besides, I'm fairly confident that the two screws will hold the plate in place and do a good job of reducing flex. I'm aware of the fact that the pcb hangs under the plate, and this will do the exact same. Think of this case as an aluminium replica of the filco case but with a few extra features. Also, I have a universal tkl plate right in front of me and it definitely isn't flimsy.. You need to put a fair amount of force on it in order to flex it. I'm very aware of the possible cost issues and it's probably my primary concern. I will do everything in my power to reduce costs while trying to keep the quality as high as possible. Just FYI, if you take this to a shop, I believe that Solidworks will not output a .dwg file. Most shops prefer the .dwg file which is from AutoCad. I know The_Beast had to remake his drawings in AutoCad because of this. A simple call to the shop before hand will save you the hassle of remaking the file. Also, you've been remaking the file a lot? I haven't been remaking it a lot, I've just been adjusting it a lot. I also spent a hell of a long time getting the standoff measurements right so I know them. I'll check with the shop tomorrow. Turns out that you can export as a DWG in solidworks just fine, unless there is some difference between a dwg from solidworks and a dwg from autocad that I'm not aware of.